Pre-Order Drug War Capitalism Today! 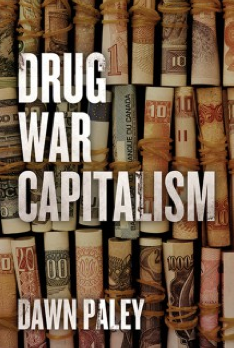 Drug War Capitalism, my first book, has finally gone to the printers. You can pre-order a copy today from AK Press for 25% off the regular price. I’m in the process of confirming dates for a west coast tour in November and an east coast tour in December. As soon as things firm up a bit, I will post dates here. I wrote an update a little while back about events in Guerrero regarding the 43 students who remain disappeared in a state crime that has shaken (and continues to shake) Mexico. There is a need for funds to support families of the 43 young men as well as students of the Ayotzinapa school, if you are able to donate, you can do so here. Thanks for your support and expect a new update very soon.